As you process the items coming into your in-box, you may realize that some of your action items are moving from one list to another. One way to avoid this is to group your action items by context. What this means is that phone calls are grouped together, and actions that can only be done on the computer are grouped separately. You might have several contexts for actions to do at home, work, or while outside. By dividing action items by their context, you only need to look at the action items that you can accomplish in your current context. For instance, let’s return to the example from our last post, ‘get car serviced.’ This is a simple example but it will help illustrate our point. Your first action is to determine what type of service is required, followed by choosing a location to have that service performed. You can break down the entire project into various tasks, each of which has its own context. As you can see, the actions above have different contexts. You should be able to complete this project in a couple of hours or so, but the process is the same for large projects. Once you break them down, it is simple to manage the individual actions. You do something on the phone, wait, do something on the computer, wait again, and so on and so forth. It is not exactly rocket science, but it is easy for things to slip through the cracks when you are managing a hundred other actions. When you are busy, some actions might go unfinished and slip through the cracks. You do not hear back from John, or you forget to look at your calendar on the day of your appointment. It is easy to miss some of these actions without a good system. So, how do you choose the right system? Well, it all depends on you. Everyone is different, and you have to recognize what works for you. You might use your smartphone to manage your lists and organize your actions by context, or you might use a small notebook to organize your actions. The point is that it does not matter what system you use. The main thing is that you need to have a system that works for you. 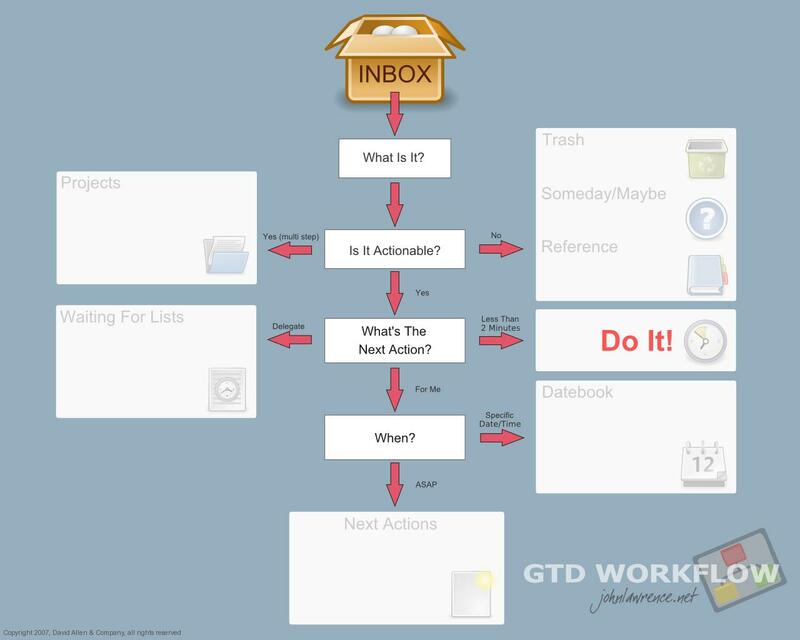 A system that helps you complete your projects without losing track of your next actions. A system that is fluid, dynamic, adjustable, and helps you get more done. How does your system help you to manage your lists and get your projects done? Comment here.